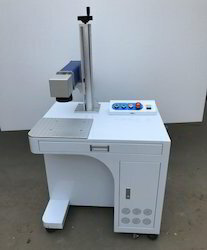 Our range of products include co2 laser marking machine, laser marking machine, surgical laser marking machine, separate fiber laser marking machine, industrial laser marking machine and valve laser marking machine. 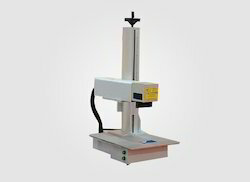 Carbon Dioxide Laser Marking Machine has the capability to hold both precise as well as Heavy load object for marking. 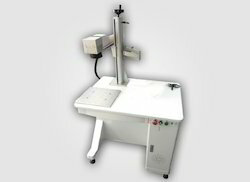 We are offering Surgical Laser Marking Machine. 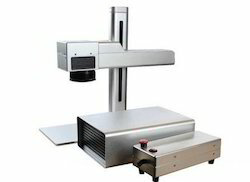 Metal Laser Marking Machine has the capability to hold both precise as well as Heavy load object for marking. 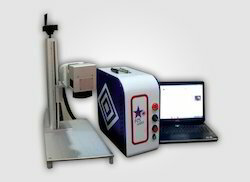 We are instrumental in offering the premium nature of Fiber Laser Marking Machine to our regarded clients. 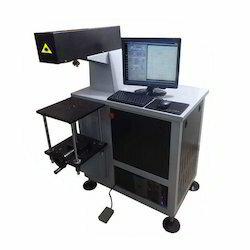 We are offering CO2 Laser Marking Machine. Co2 Laser marker adopts imported high quality RF tube , RF Tube ( Metal Tube) has long life , High Stability, Good Beaam quality, also high performace, RF tube is very much suitable for industrial application where long time operating stability is required. Co2 Laser can mark and engrave non metal products like leather, acrylic, glass,wooden surface, ceramics, buttons, fabrics and clothings, crystal etc. Co2 is popular in Pharmaceutical, food and beverages,textile , Cosmetics, electronics, crafts gifts etc. 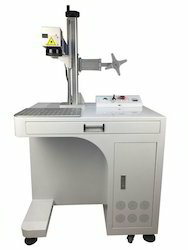 Bearing Laser Marking Machine has the capability to hold both precise as well as Heavy load object for marking. 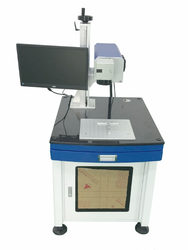 Owing to our rich industrial experience and vast knowledge of this domain, we have been able to offer the premium quality of Tools Laser Marking Machine to our valuable customers. 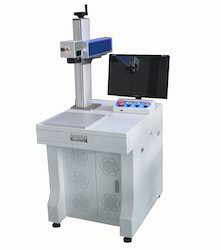 We are engaged in supplying Fiber Laser Marking Machine. 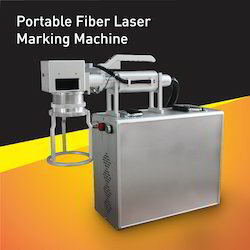 Fiber Laser marker is widely used in Jewellery Industries, Electronics Components, Auto Industries, Medical Industries, Tools Surgical tools etc.Most common applicable materias are Metals and its alloys, PC, ABS, Plated and Coated material etc. We Star Laser Technology are instrumental in offering the premium nature of UV Laser Marker Machine to our regarded clients. 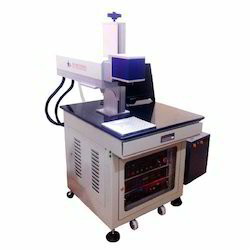 UV Laser marker is equipped with a 355 nm UV laser that is the end off three times the frequency of diode end pump Laser. 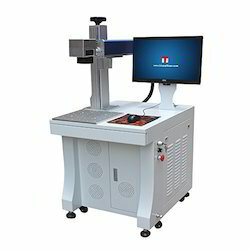 It has high conversion rate between laser and electricity. UV Laser is widely using in Drilling of tiny holes, Flexible PCB, LCD, TFT marking and slicing, Silicon wafer slicing etc. 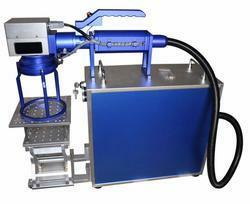 We are offering Diode Pump Laser Marking Machine. 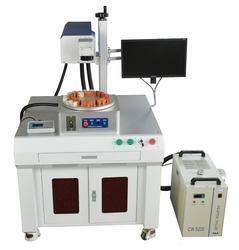 We are offering Jewelry Laser Marking Machine. 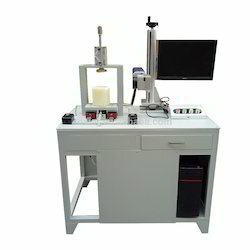 It is an advanced Laser pumping technology , with Semiconductor laser Diode and Q switch pulse control with wavelength of 1064 nm can begenerated. Diode laser generator is small in size better power efficiency than traditional lamp pump technology. 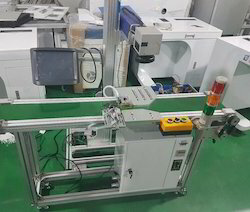 Diode pump laser marker is suitable for marking on Electronic, PVC, Auto parts, Jewelleries, Metal and tools products Medical Tools, Switch gear Industries, Instrument marking Precise applications etc.